The Wildwoods area of the New Jersey shore lights up the neon sky at night. 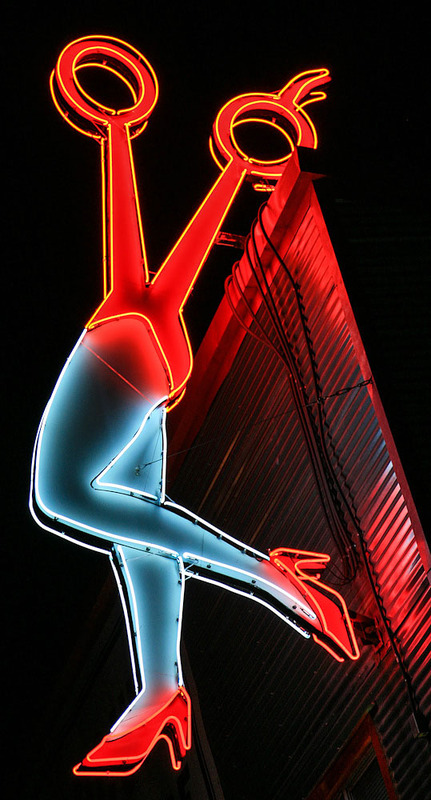 See them here at Roadside Peek's Wildwood Neon Motels. 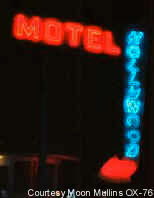 The Hollywood Motel has a name befit for a glitzy town. And the neon still works here. The Alamo Court Motel in Ocean City, MD looks like a sombrero hat walking towards you in the dark when seen at night. It's not every night that your weary eyes will run into a sombrero. Wow, the glow of this motel is a serious eyeful. 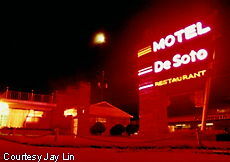 The Motel De Soto will catch any traveler's eye at night, whether weary or not. Especially if the whole motel area lights up in red. 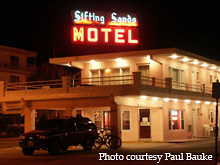 Located right off of the Ocean City boardwalk is the Sifting Sands Motel. 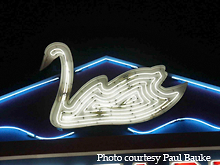 Check out this neon shot of the marquee all lit up and attracting roadside travelers passing through town. 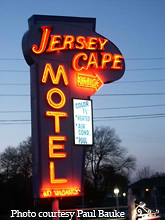 After a long drive down Route 9, weary travelers can stop in the Jersey Cape Motel in Cape May, one of the last motels on the shore before catching the ferry over to Delaware. Another motel located near to the boardwalk, the Forum Motor Inn is the place to stay for many that frequent Ocean City. 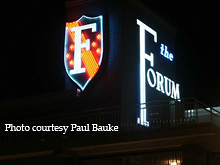 Check out the marquee on the roof all lit up for business. 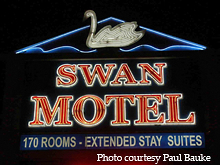 The Swan Motel in Linden opened in 1953 on US highways 1 & 9 just about 10 minutes from Newark Airport. The motel still is still open to travelers to the area. Many thanks to Paul Bauke for photos and info.